Pat Salmon was one of Takeley Local History Society's first members, joining within the first few months of the society forming in 1998. Together with his long time friend Bill Marshall they wrote most of our historical booklets. Pat lived in the village for all of his life so he knew so much of what is now the history of the village from first hand experience. But Pat also had the gift of being able to chat with people, in particular the older Takeley residents. As a local he was trusted by them and so was able to build on our knowledge of Takeley history from their recollections and the many photographs that he was allowed to borrow and scan for our archives. Pat also used to scour the newspaper archives, copying articles and sale notices longhand or by photographing them and then painstakingly re-typing them at home. These copies have become a vital resource for many of our booklets and Pat's articles from the past appeared regularly in the parish magazine until it folded at the end of 2017. Pat was always keen to take part in any of the TLHS activities where he could help. As part of a larger team we spent many hours together over several years transcribing the inscriptions on all of the gravestones in Takeley churchyard and then went on to do the same for the graves at Takeley chapel. Pat could always be relied on to turn up rain or shine. When Pats memory started to fail he continued to be an acvtive member of the committee and would always make the point that despite not being able to remember what he once knew he would still be pleased to help people in their projects in any way he could. He has left so much archived material with us that his work will continue to help us even though he himself has gone. Pat will be very much missed by us all. Pat was born on the 29th October 1931 to parents “Rosie and Fred”. Such was common in those days, Pat was born at home in Mill End Takeley, and grew up in what was known as “Rose Cottage”. He grew up alongside his sister and making full use of his Big Brother status he got to choose her name, who we all know as “Aud or Audrey”. 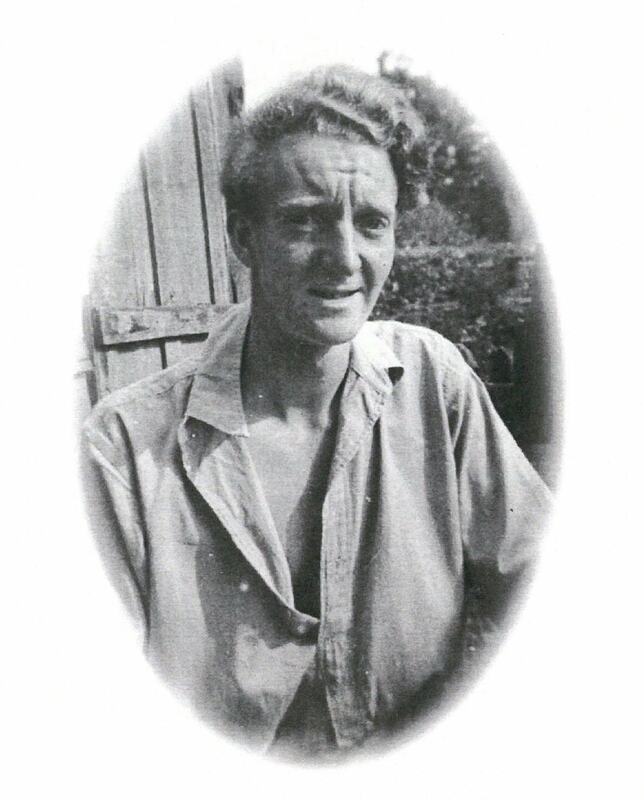 Pat was very sociable and very easy to get along with, so much so that during the war, when he was a young lad, he befriended an American Sargent who would let him come along with him on his trips into London. It was also at this young age we first saw the tremendous fighting spirit Pat was known for, when he overcame a serious case of Tuberculous and in more recent years he battled with prostate cancer. He always knew how to fight the good fight. Musically, he very much enjoyed playing his beloved piano, which stayed with him all his life. Those that are close to him, will know this piano was past being tuned, however, Pat would continue to tickle the ivories right up to the very end. After school he started working as draughtsman, but this wasn’t for him as “Pat” liked to get outdoors and be active. During his retirement, he was just as active as ever. Often seen on his bike, he would cycle all over to visit friends and family, enjoying one of his true loves “A nice cup of Tea”. He loved animals too and there wasn’t a cat or dog who could pass him by without getting some loving attention and a few biscuits from his pocket. As well as being one of the first members, he devoted a lot of his time to the local, Takeley History Society, so much so that he passionately researched to produce a book on Molehill Green. In 2009 he moved home, leaving “Rose Cottage” where he grew up, to another “Rose Cottage” in Bambers Green, right next door to his Sister “Aud” and her husband Geoffrey. Although not with us in person, I know Pat would want to say thank you to you both for being such an amazing Sister and Brother-in-law. He was always so grateful for what you did for him, and you were such a loving and important part of his life. Pat was a true fighter, but after a period in hospital the last fight was not to be. As I said before, he was born in Rose Cottage, he moved to Rose Cottage next door to his sister and his last resting place in the mortuary, was fittingly named Rose Cottage. How incredible is that, he was born, lived and passed away in “Rose Cottage”. I think Pat will be remembered as a man of simple tastes, always doing the things the way he thought best, with minimal fuss and with a dry sense of humour. When he asked, “how you were” and “what you were doing”, he was the one, who genuinely wanted to know. Ultimately, he was just a good man who cared about those around him. To my children Rob and Steph and the rest of his nieces and nephews, Sherri, Kevin, Martin and their children he was the best Uncle anyone could have. Anyway, I best bring this to end as I can hear Pat up there saying “Good but he went on a bit”. Pat, you will be missed and loved by so many for the great man you were. When it’s our time to come see you, we’ll be sure to bring the teabags.